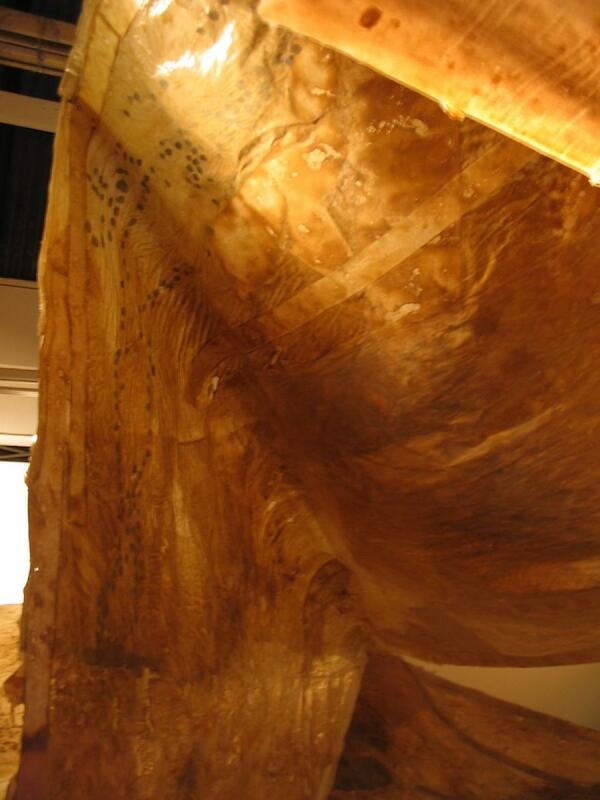 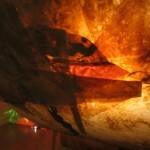 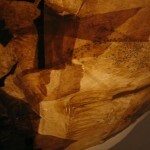 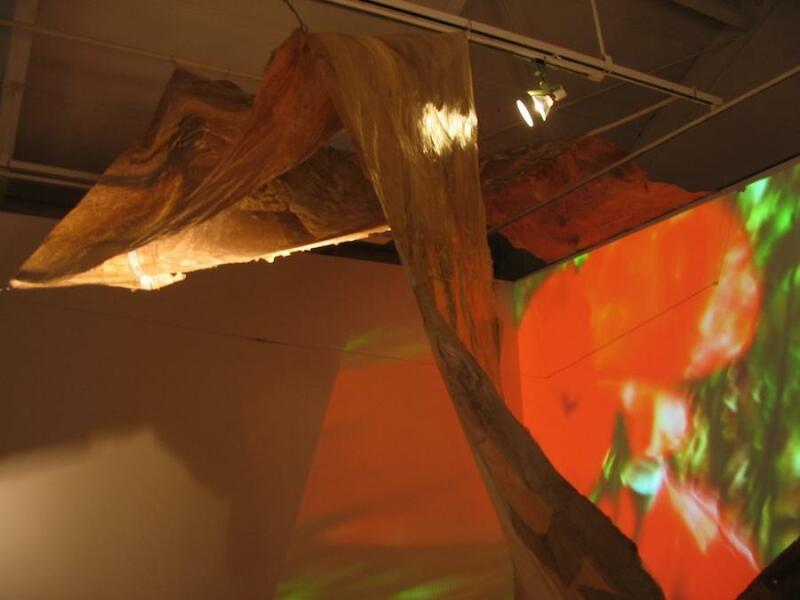 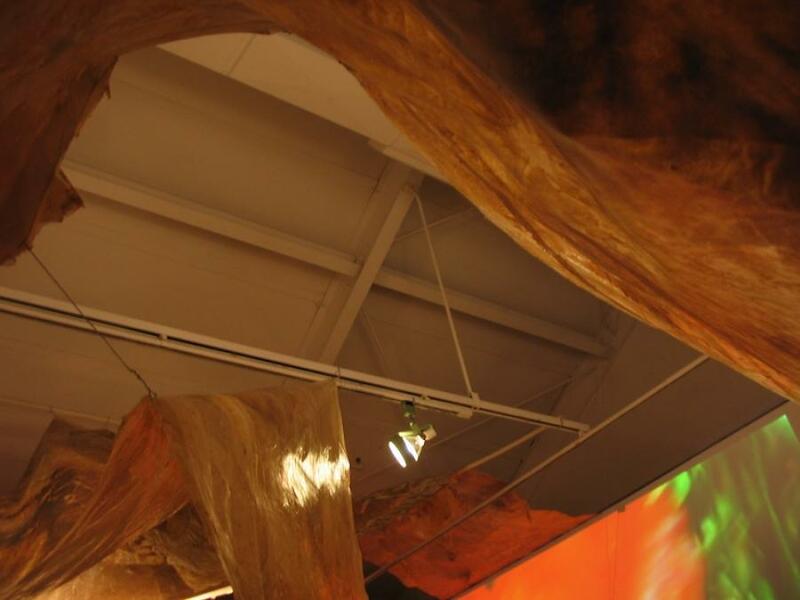 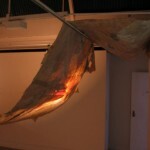 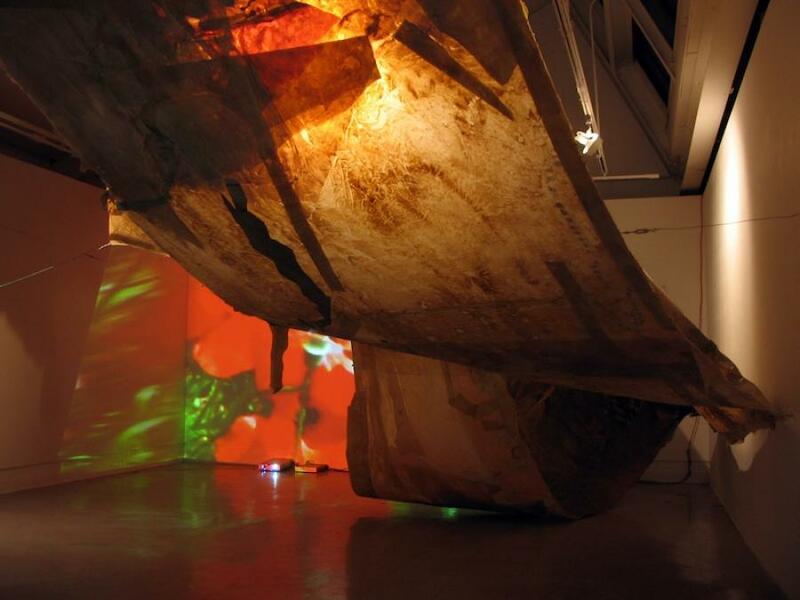 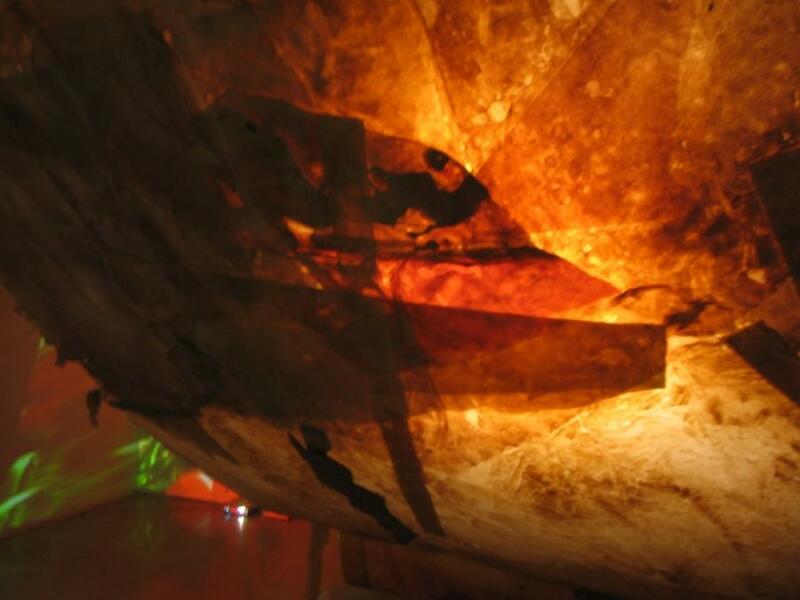 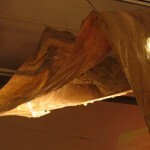 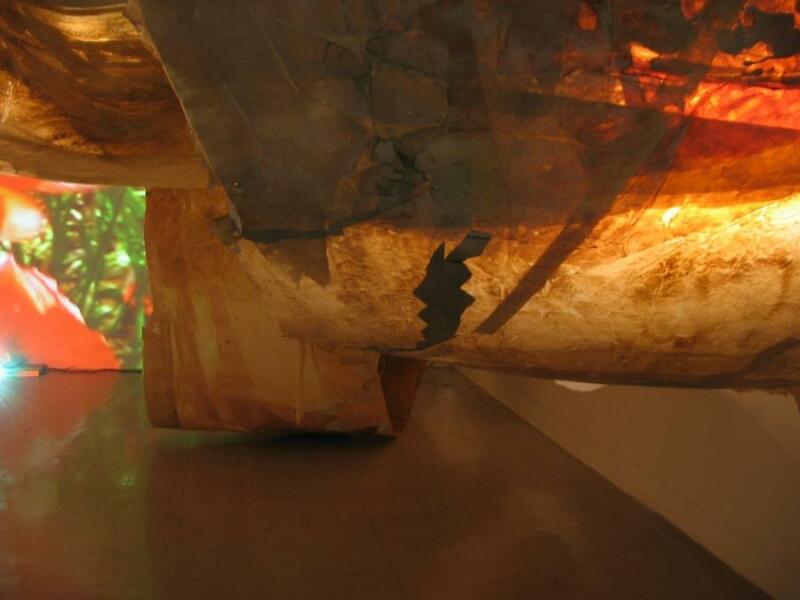 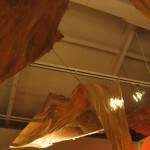 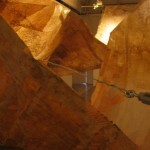 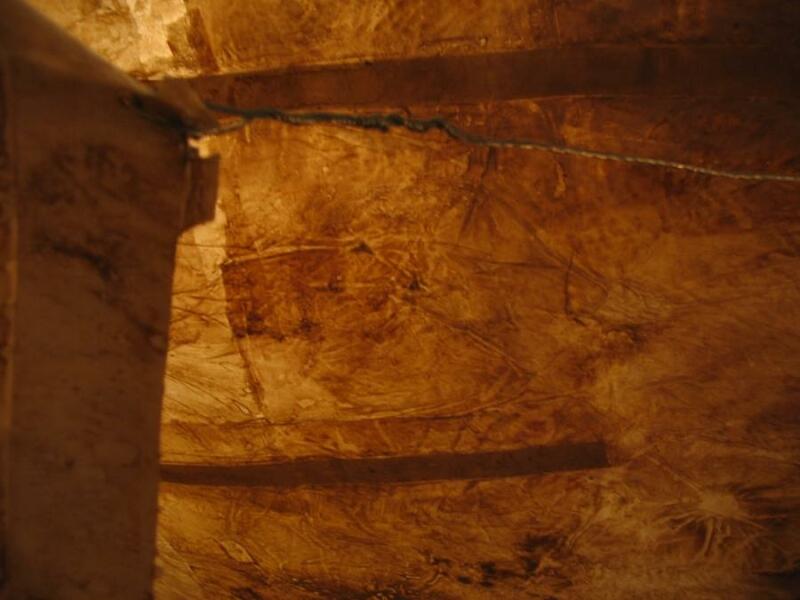 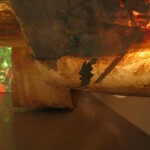 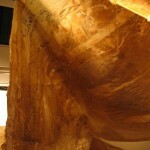 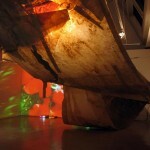 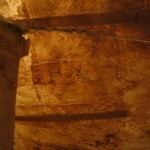 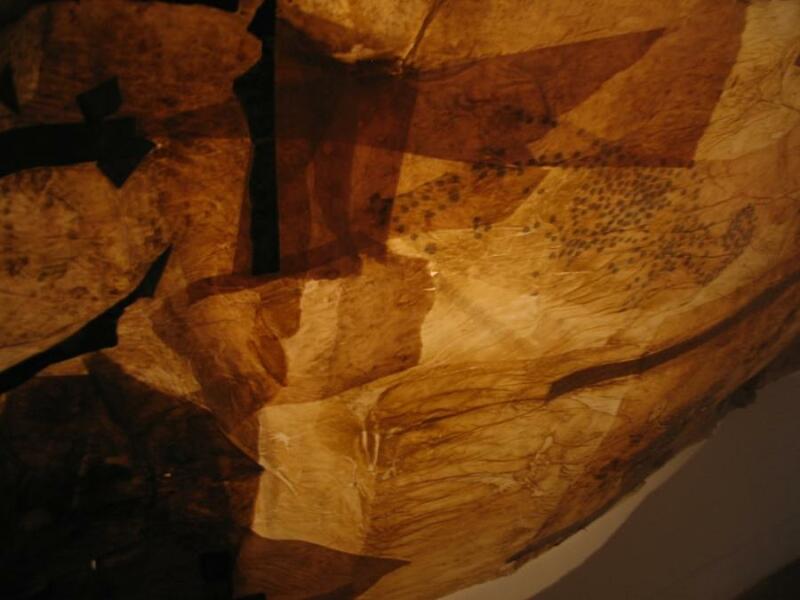 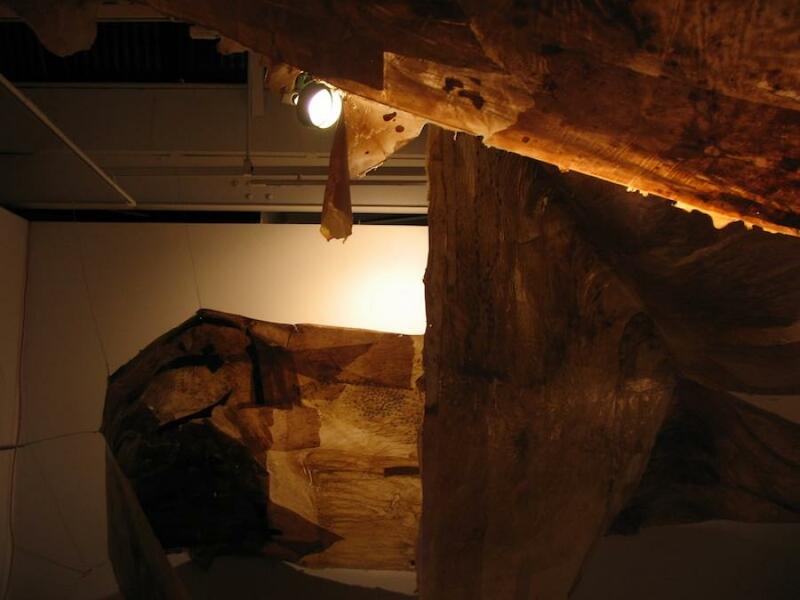 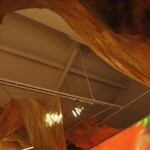 The “continuous” scroll made of pieces of different kinds of paper, laminated with acrylic media and clay, in some parts translucent and fine, in some thick and opaque, enters the gallery space from behind one wall and exits disappearing behind another, opposite wall. 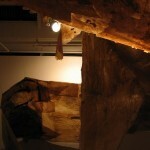 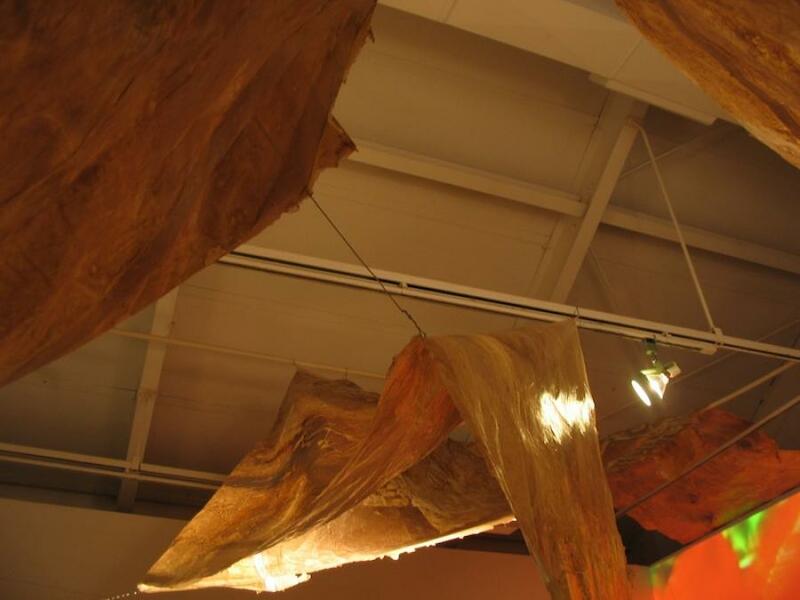 In the gallery space, the scroll curves, flips and turns, falls and rises, hangs as a deadfall, suspended in the air by wire structures, which pierce through the material and are attached with eye-hooks to the walls and tightened with screws. 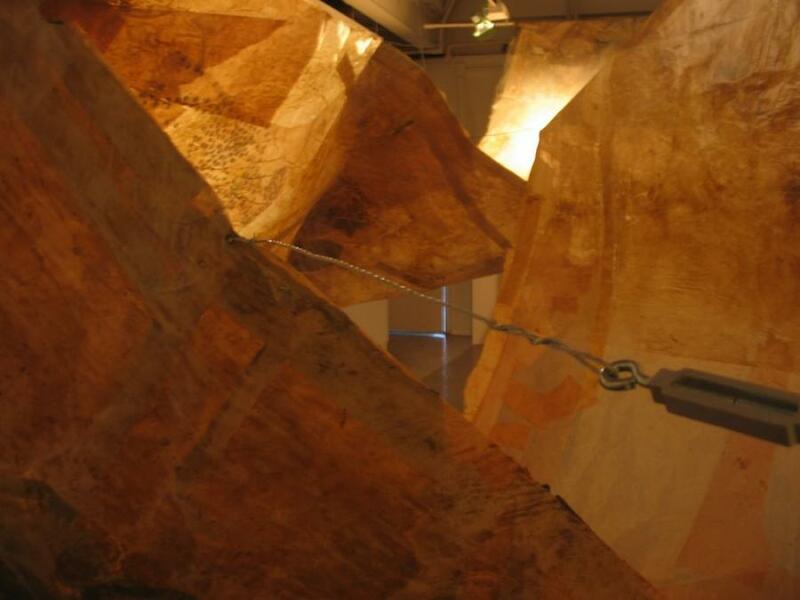 The wires intersect and direct the viewer’s movement in the space. 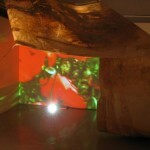 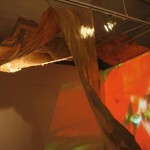 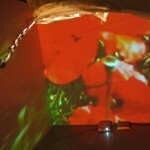 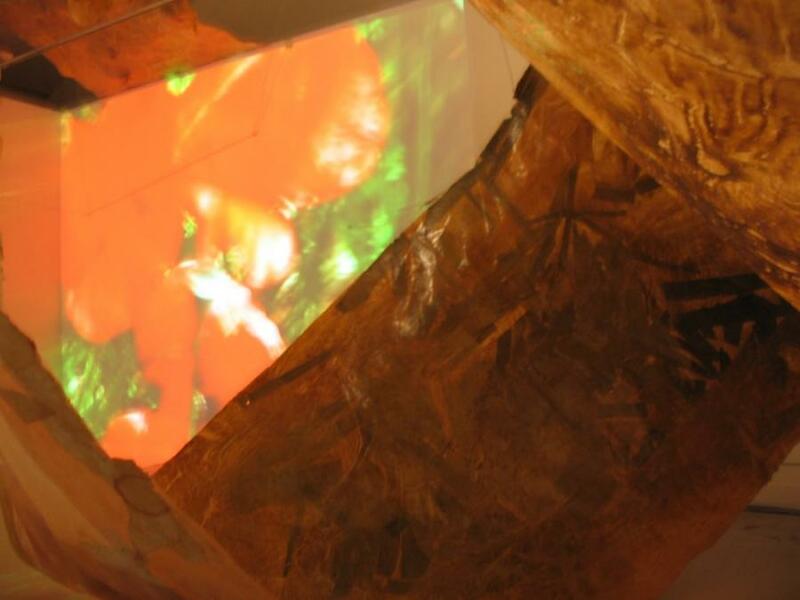 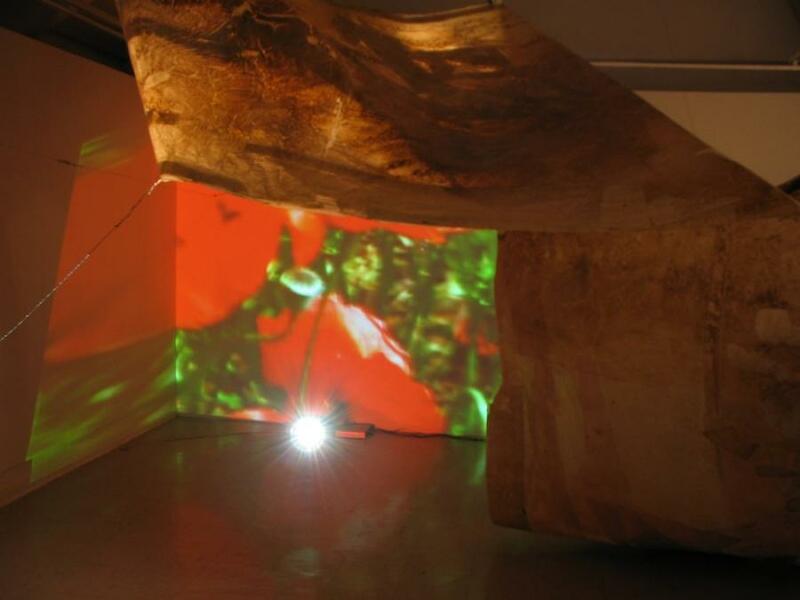 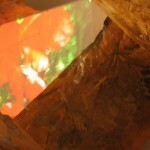 Two looped videos are projected on two opposite walls where the scroll enters and exits the room. 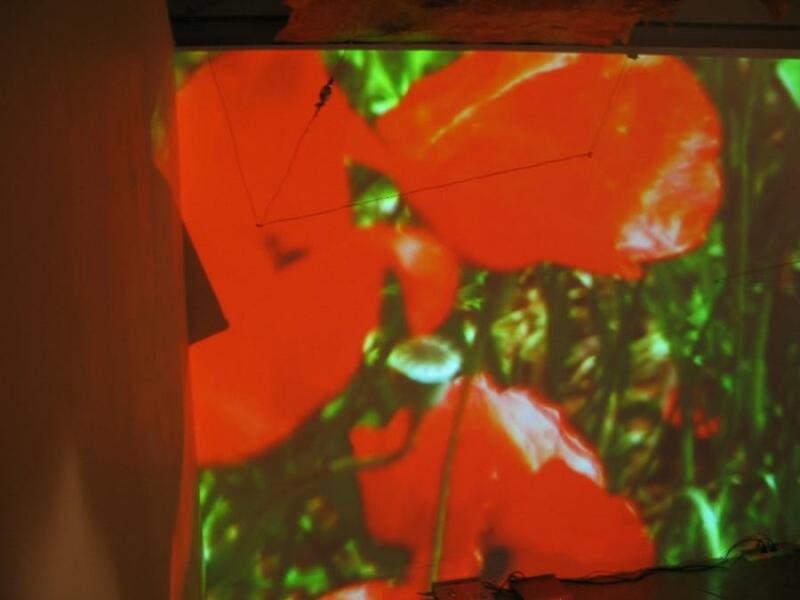 One video shows a slowed down close-up on a red poppy flower in the green field. 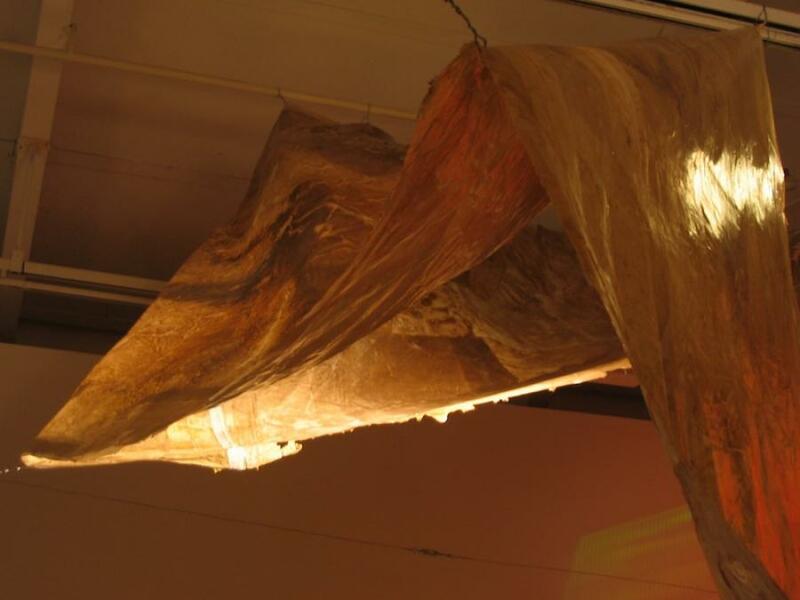 Its slow movement in the breeze is accompanied with the sound of the heartbeat. 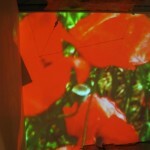 The other video shows a shaky camera running across the field of poppies, with out-of-focus patches of red on green background of the field and sound of running and the breathing. 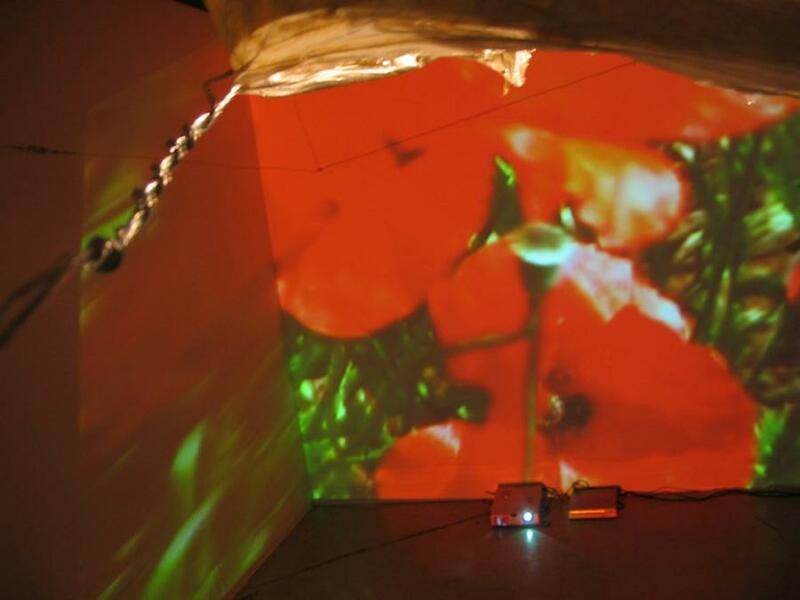 The images on two opposite videos present a same place (a poppy field) shot at two different times. 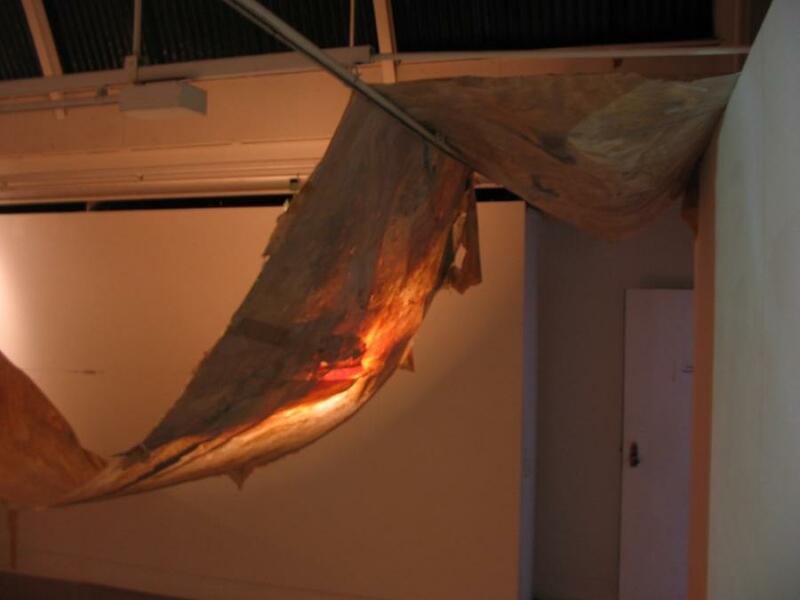 A narrative imposes itself: the times Before and After enclose the gallery at both ends, between which the scroll, as the abstracted body hangs suspended by wires and its own weight.